The S&P 500 slid 1.2% on increased concerns about political risk. The global MSCI ACWI dropped 0.6%, and the Bloomberg BarCap Aggregate Bond Index edged 0.2% higher. The S&P 500 is up 2.9% so far this year. The Federal Reserve is expected to use a fairly strong economy and modest inflation to support raising rates at its meeting this week. The Fed remains focused on unwinding its policy of unnaturally low rates implemented during the 2008 financial crisis. The inflation data suggests that the plan is working. Prices are increasing at a healthy pace, while consumer inflation is rising at a moderate pace and is in line with the Fed’s goal. Last week, the Department of Labor announced inflation rose 0.2% in February and 2.2% over the last year. Both numbers matched expectations. While this month’s numbers were good, we continue to watch inflation for signs of trouble. Wages and benefits are increasing very slowly for an economy near full employment. Healthcare costs have been going up for a long time. The Centers for Medicare & Medicaid Services reported annual health spending – healthcare paid for through private health insurance, Medicare, Medicaid, or out-of-pocket spending by businesses, households and governments – in the United States averaged $3.3 trillion in 2016. * Yahoo! 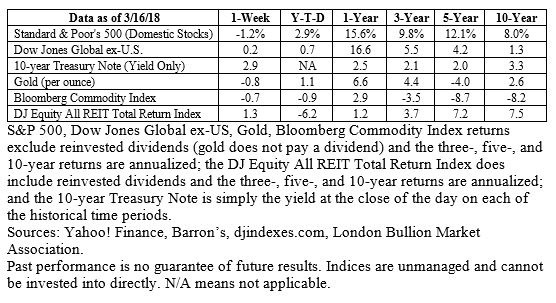 Finance is the source for any reference to the performance of an index between two specific periods. 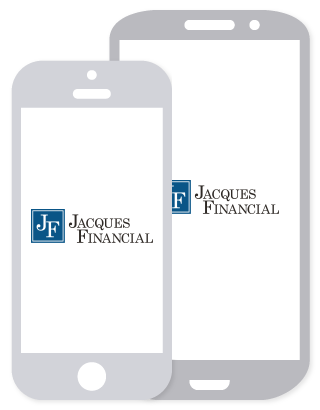 *The year-end Balance Sheet for Jacques Financial, LLC is available upon request.